This weekend sees an historic occasion for football in the Northern Territory when two of the founding clubs clash to celebrate 100 years of footy in the NT. 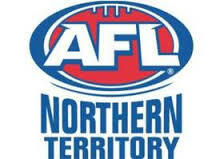 The following media release from the AFLNT details the event and its significance. This week, in Round 15 of the 2016/17 TIO NTFL season the Wanderers Football Club and Waratah Football Club both celebrate their 100 year anniversary in a historic ‘Foundation Cup’ clash at Gardens Oval at 4.00pm on Thursday. Other planned festivities for the week include a centenary ball and the naming of respective teams of the century on Friday for Waratah and Saturday for Wanderers. The Northern Territory Government is also hosting a Waratah and Wanderers Centenary Anniversary Reception at Parliament House this evening. Along with Darwin Buffaloes, these clubs were the forefathers of Australian Football in the Territory. AFLNT Chairman Ross Coburn said such a historic occasion was a privilege to bear witness to. “This moment in our history is significant from a sporting and cultural point of view. “Today, football is the people’s game. It brings people from all walks of life together and is an integral part of the fabric that makes Darwin families what they are,” Coburn said. AFLNT CEO Michael Solomon echoed the sentiments. “From all accounts, these clubs started from humble beginnings, borne out of passion and persistence. “To see them today and know what they have achieved 100 years later, is something all players, officials, volunteers, families, and fans involved should be very proud of. “I encourage everyone to get along to Gardens Oval tomorrow for the annual Foundation Cup match between Waratah and Wanderers and to join in the fun,” Solomon said.